Come December 1st, and all roads led all members of the KGA to St Joseph's chapel on Museum road. 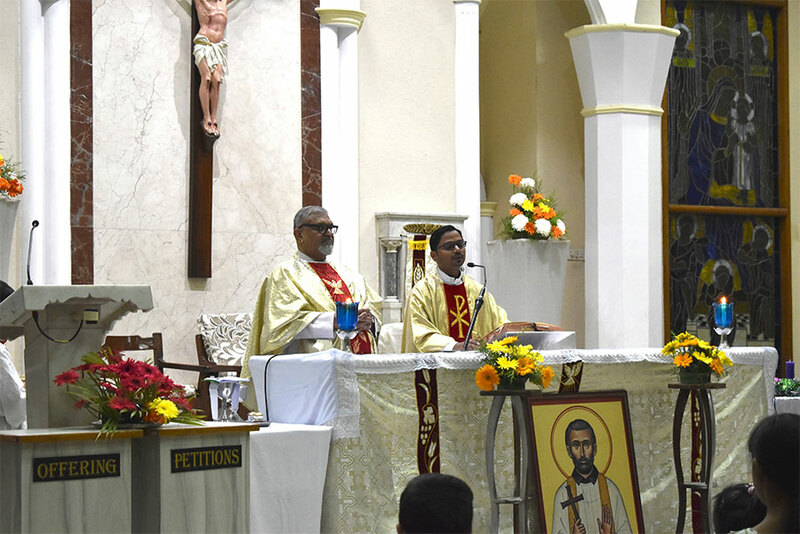 Young, old and in between, we all headed to celebrate the feast of our Goencho Saib St. Francis Xavier with a traditional konkani mass. 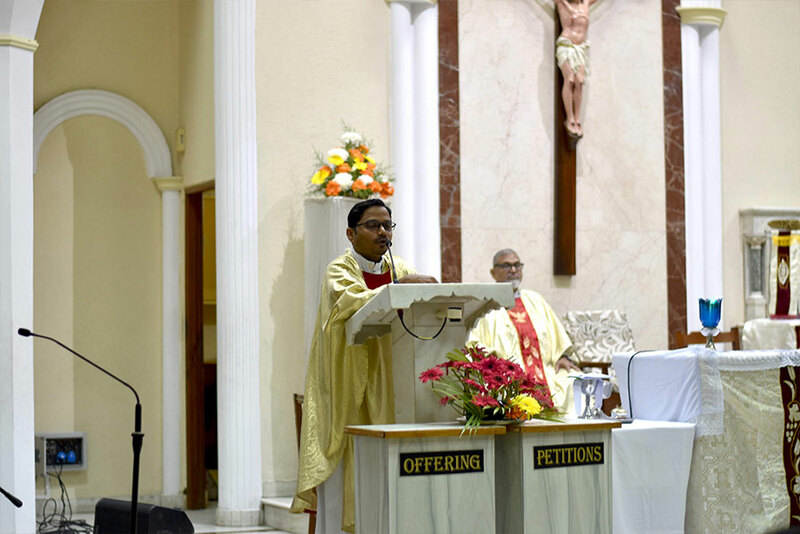 The mass was a solemn prayerful celebration, Fr.Trascius Fernandes was the main celebrant, ably assisted by Fr Francis Pinto. The choir, led by Aldrin DSouza were superb, or so I was told numerous times! 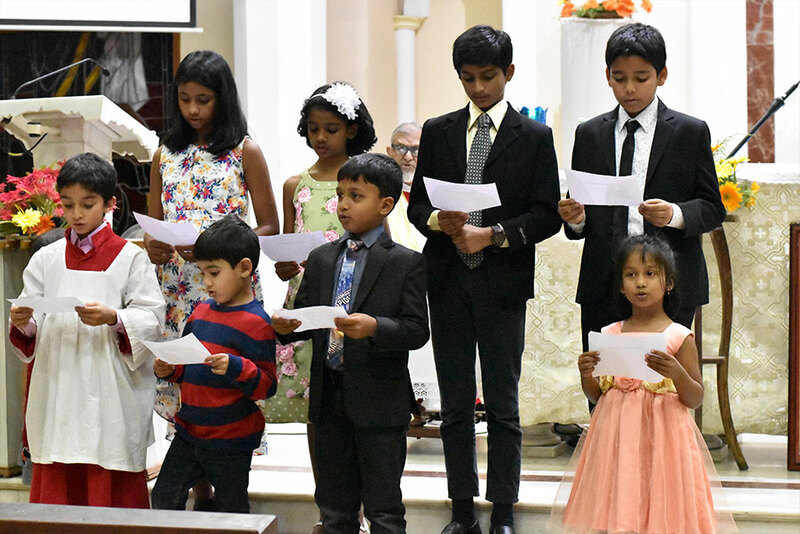 As a part of the choir myself, I absolutely enjoy the process of learning and singing these konkani hymns once a year! 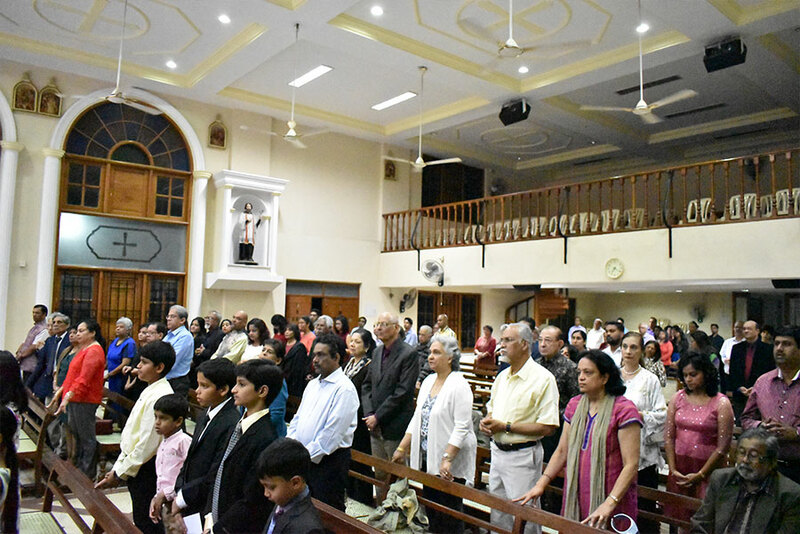 After mass, we moved to the hall next door and were greeted by the traditional feast snack of chouriz pao, cadio bodeo & boiled channa, transporting us right back to Old Goa! Nostalgic indeed!! In short order, our cheerful and bubbly MC for the evening Sammy Pasha got the party started and soon the good times were rolling! 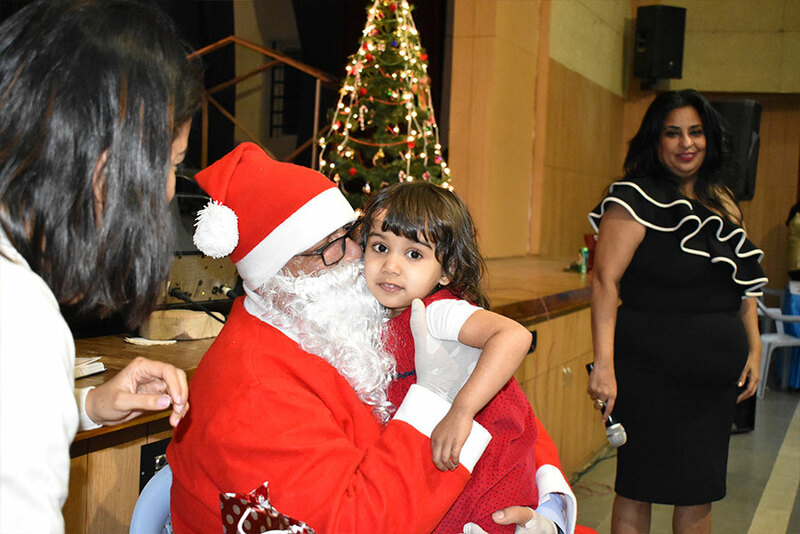 Games, a live band, dancing, feni and of course Santa with presents for all the kids made the party ROCK! The highlight of the evening were the Excellence Awards presented to the high achievers - 8 kids and youth of our community were honored for their outstanding performances during the past year! A lovely dinner rounded off the evening! 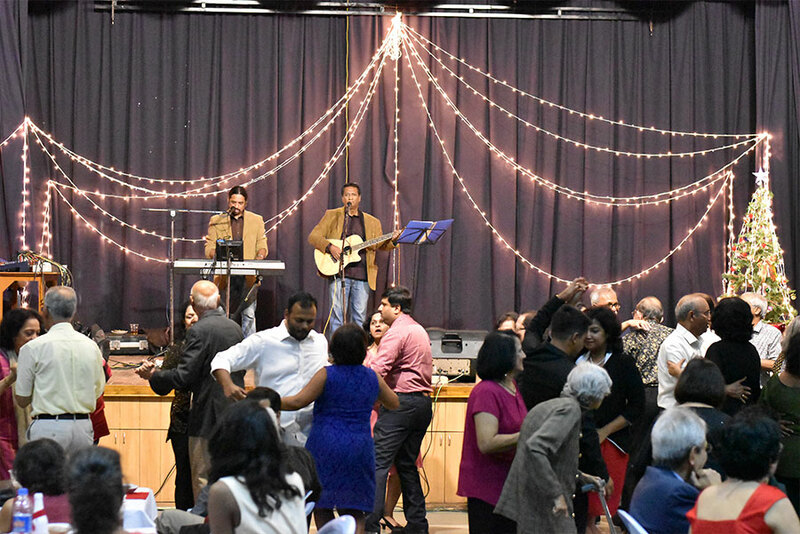 Congratulations to President Carlos Guido, Member-in-charge Aldrin DSouza and the entire MC for giving over 250 of us such a wonderful evening! 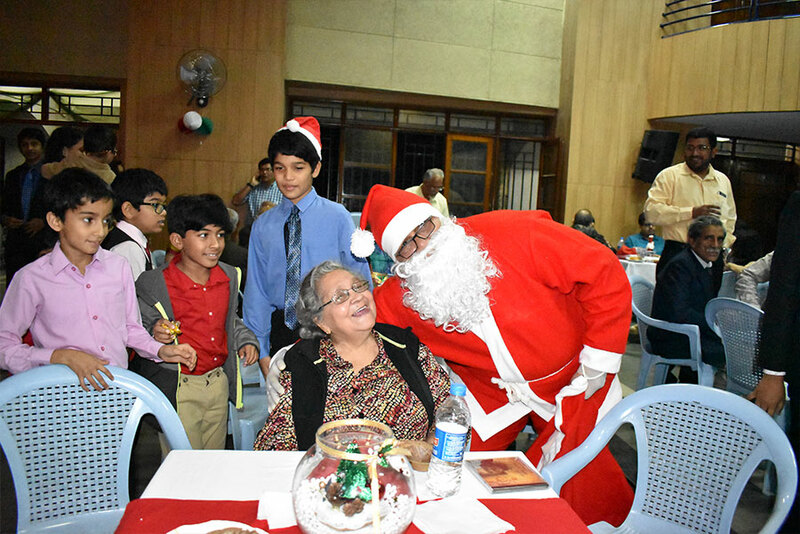 It was lovely ushering in the Xmas season with our fellow Goenkars! 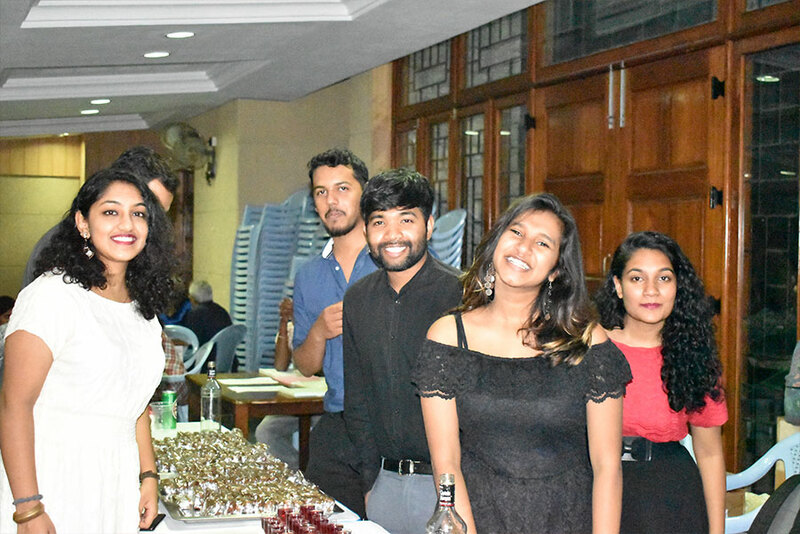 Special mention must be made of the youth who contributed in great measure to this event - from the hall decoration to helping with the snacks and then showing us how it's done on the dance floor!! - they have all the talent and the moves. Thanks Charmaine, Shane & Denzil! We can't wait for the Festa do Carnaval 2019! Viva!! !